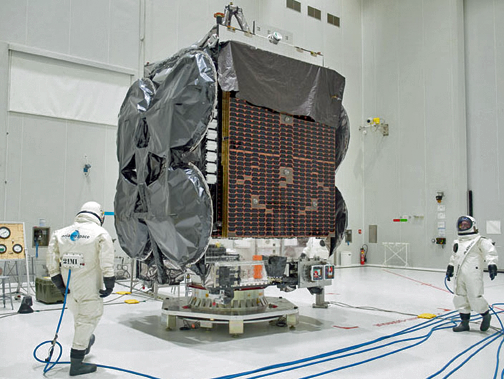 The SES-14 satellite has arrived safely at the Guiana Space Center in Kourou, French Guiana, in preparation for launch by an Ariane 5 vehicle in January of 2018. SES-14, which will be positioned at 47.5 degrees West, will serve Latin America, the Caribbean, North America and the North Atlantic region with C- and Ku-band wide beam coverage and Ku-band high throughput spot beam coverage. SES received a license to operate at this Brazilian orbital location as a result of a spectrum auction in 2014. Artistic rendition of the SES-14 satellite. Image is courtesy of Airbus Defence and Space. SES-14's C-band wide beams are designed to expand the reach of SES’s second cable neighborhood in Latin America, while its Ku-band high throughput spot beams will serve the dynamic aeronautical market and other traffic-intensive applications such as maritime, cellular backhaul and broadband services. The Ku-band wide beams will also serve growing direct-to-home and VSAT services in the Americas and the North Atlantic. SES-14 will replace and augment services currently provided on NSS-806. The spacecraft also carries a NASA-funded hosted payload. The payload's Global-scale Observations of the Limb and Disk (GOLD) mission is designed to deepen scientists' understanding of the nearest reaches of space. The hosted payload will provide unprecedented imaging of the Earth’s upper atmosphere from geostationary orbit, and will be the first mission with a cadence fast enough to study the daily weather of the thermosphere-ionosphere rather than its long-term climate. SES-14 was built by Airbus Defence and Space and is an electric satellite and will fully rely on electric propulsion and will be equipped with an electric plasma propulsion system for orbit raising and on orbit maneuvers. 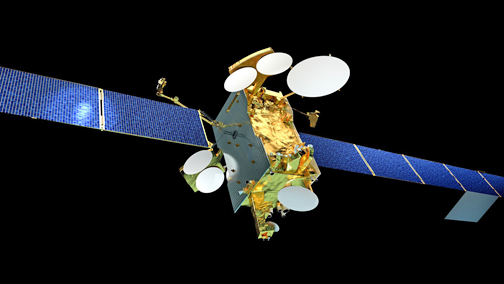 The new spacecraft also features a Digital Transparent Processor (DTP), which increases payload flexibility and will provide customized bandwidth solutions to SES's customers. Martin Halliwell, Chief Technology Officer at SES, said this all-electric satellite comprised of wide beams and high throughput beams and featuring a DTP — the first of its kind in our fleet — will provide customers with enhanced flexibility and fully customizable solutions. 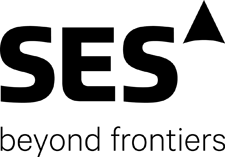 SES-14 be meeting the needs of the growing video markets in Latin America and the satellite's high throughput capabilities will empower maritime and aeronautical service providers to deliver high-performance connectivity in the Americas as well as the company being the first commercial partner to host a NASA scientific mission of this kind. 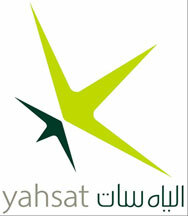 SES-14 will join the Arianespace launch mission’s other payload, Al Yah 3, for Al Yah Satellite Communications Company PrJSC, located in the United Arab Emirates, Abu Dhabi. The January 25 mission to geostationary transfer orbit is designated Flight VA241 in Arianespace’s launcher family numbering system, signifying the 241st flight of an Ariane series launch vehicle. Photo of the AL Yah 3 satellite going through launch preparations in the Spaceport’s S5 payload processing facility. Photo is courtesy of Arianespace. Al Yah 3 is undergoing pre-launch preparations in the Spaceport’s S5 payload processing facility. Al Yah 3 is the first hybrid electric propulsion GEOStar-3 satellite to be completed by Orbital ATK and was built at the U.S. company’s satellite manufacturing facility in Dulles, Virginia, and shipped to the launch site on November 28. As an all Ka-band high-throughput and light-weight satellite, Al Yah 3 will provide affordable broadband communications to 60 percent of Africa’s population and more than 95 percent of Brazil’s population.